Roujiamo, meaning "meat burger" or "meat sandwich," is a street food originating from Shanxi Province and now widely consumed all over China. The meat is most commonly pork or beef, stewed for hours in a soup containing over 20 spices and seasonings. In fact, Roujiamo could be the world's oldest sandwich or hamburger, since this bread dates back to the Qin Dynasty (221 BC - 206 BC) and the meat to the Zhou Dynasty (1045 BC to 256 BC). Paomo is a speciality of Shaanxi cuisine and is a typical food eaten in the city of Xi'an. It is a hot stew of chopped-up steamed leavened bread, cooked in lamb broth and served with lamb meat, black mushrooms and glass noodles. Stewed noodles with pork, beef or lamb meatballs, black fungus, mushrooms, tomatoes, tofu, bean sprouts, cabbage, rice noodles, lilies, garlic, onions and chillies. The noodles are made with ultra fine flour, you can taste the goodness from all vegetables, meatballs, noodles and the broth. Steamed cold noodles is a noodle-like Chinese dish made from wheat. Although it is served cold, they are served in every season, including winter. A dish of cold noodles in a sauce that hits every possible flavour category (sweet, tangy, savoury, herbal, nutty and dozens of others). Biángbiáng noodles are a type of homemade hot noodle, popular in China's Shaanxi province. The noodles, touted as one of the "ten strange wonders of Shaanxi" 陕西十大怪 , are described as being like a belt, owing to their thickness and length. Hot and sour noodles is one of the most famous Sichuan street foods. This street food can be found in almost in every city of China. It is known for its spicy and sour taste, as well as the numbing feeling. A secret recipe made from rice noodles, white and black mushrooms, sweetcorn, fresh Chinese vegetables, spring onions, garlic, and boiled eggs. The recipe for hot dry noodles is different from cold noodles and noodles in soup. Firstly, mix the cooked noodles with oil and dry them. When they are about to be eaten, scald the prepared noodles in boiling water, mix them with condiments and the noodles will be ready to eat. The finished hot dry noodles are firm and chewy, golden, savoury and fresh, with a mixture of sesame sauces and various vegetables. 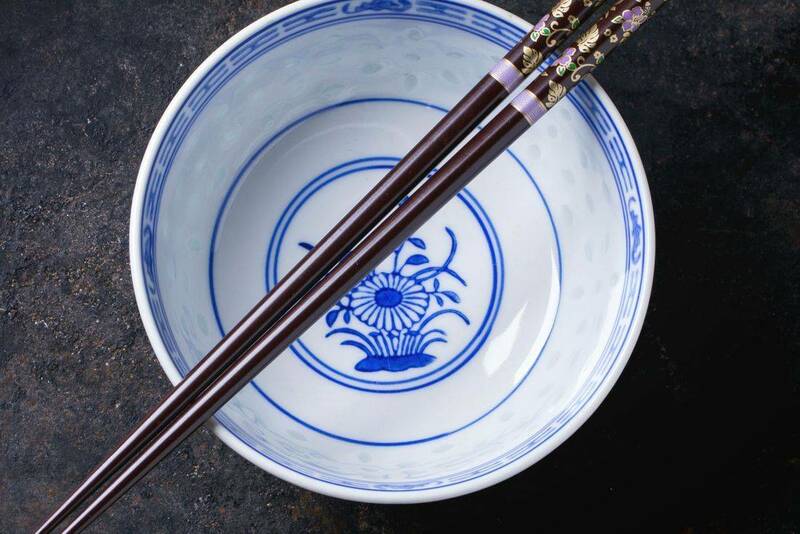 The traditional hot and sour soup is cooked with pepper, some herbs and flavourings such as aniseed, fennel, beef balls, flour, vermicelli, kelp, spinach, pepper, ginger, salt, vinegar, sesame oil; all added to the boiling soup to improve the flavour and make it spicy and hot. Minced pork, green beans, tofu, fried egg, black mushrooms cooked with spring onions and Sichuan pepper and others. The well-known signature noodles in Shanxi. A bowl of delicious dumplings with specially cooked soup, served with vegetables. Delicious rice topped with braised beef, carrots, potatoes and spices. Taiwanese-style rice dish with pork, cooked in thick meat broth.